A Valentine’s Day update to League of Legends brought a long-awaited practice mode for aspiring competitive players and newbies alike. In a vacuum, it provides a much-needed feature in an accessible manner; but in doing so, it misses the mark for becoming a more ubiquitous asset. League’s new mode, called the Practice Tool, is a sandbox for training basic and complex skills. Booting it up, you can enter a game solo or alongside an enemy bot, and get to work using the suite of tools available in order to better yourself as a League player. For years, Riot Games rebuffed the idea, saying in a blog post that “playing games of League of Legends should be the unequivocal best way for a player to improve,” adding “We never want to see a day when a player wants to improve at League and their first obligation is to hop into a Sandbox.” Still, once it became clear that players and pros alike wouldn’t change their minds, Riot announced a Practice Tool as part of its updated League client. Are you bad at last-hitting, especially in the first few minutes when your damage is low? Load up Ashe and use the tools to lock your level to one and make turrets invincible, so you can practice last-hitting for a solid 20 minutes. 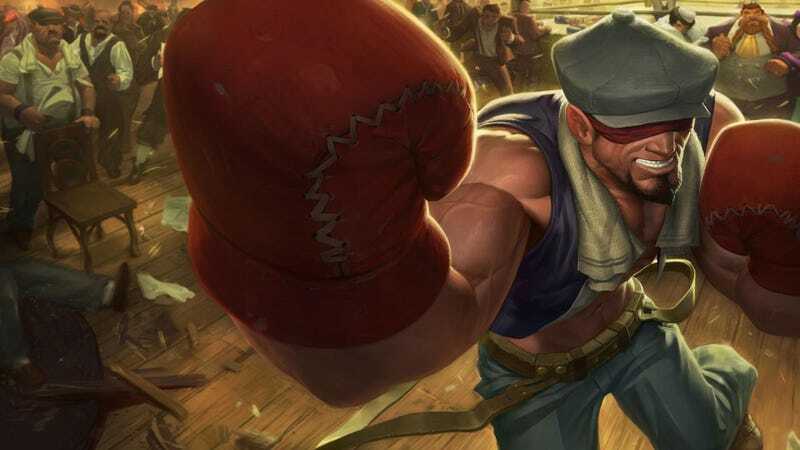 Maybe you want to work on those flashy Lee Sin plays the pros are always doing, so you enable unlimited energy and instant cooldowns, so you can work on hopping from ward to ward on your way to being the next InSec. The tools available are impressive, and include some that genre-fellows like Dota 2 don’t have in their training or sandbox modes. The ability to teleport to anywhere on the map in an instant, lock champion level to prevent XP gain, and make turrets invincible opens up a host of potential drills for aspiring pros or casual players to run before their next ranked match. 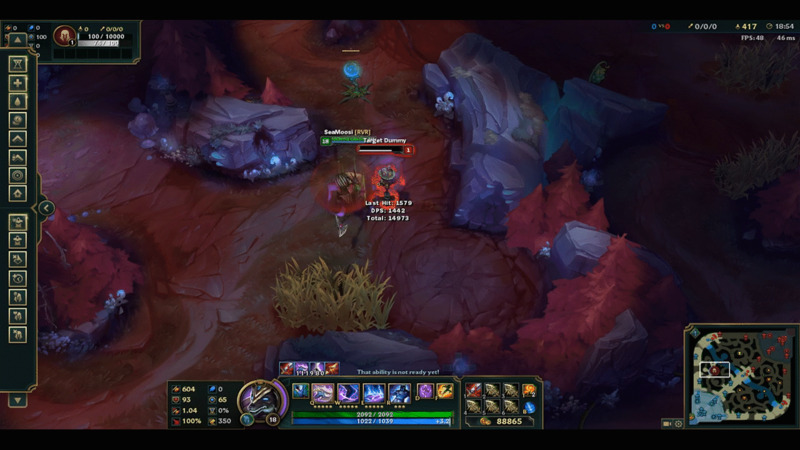 Though players can run level one last-hitting drills, the minions still run up against the turret, and so you frequently have to deal with the wave naturally pushing. Since there’s only one champion hitting the wave, even if a player hits every last hit at the last possible second, one side will be outputting more damage and naturally push towards the turret. A feature that despawns a wave after the opposing side’s has been killed, or once the minions pass a certain point on the map, would let players practice the opening wave rather than last-hitting under enemy turrets. Only having one opposing bot and a player in the mode limits potential as well. The Dota community has frequently found bugs by playtesting new changes in the game’s custom lobbies, but the tools here don’t allow for the same level of control over units or presence of multiple units. There’s no ability to spawn enemy or allied champions on command, much less issuing commands directly or adjusting bot AI settings. The best feature by far is the ability to spawn jungle camps for practicing routes and clears, though the Reset Game tool is a little clunky for jumping back to level one. While dragons can be spawned instantly, Baron cannot—if junglers want to work on Baron Smite timings, they will still have to clear Baron, reset the game, level up using the commands and then fast-forward to 20 minutes in using the 30-second jump-ahead tool. More specific options, like the ability to set player level rather than just increasing, locking or resetting, would streamline practice a little more. Practice Tool is effective for what Riot Games intended it to be: A suite of tools that lets players work on specific drills and situations. It isn’t quite a bug-testing haven or fully realized sandbox, it’s limited to only Summoner’s Rift (the main competitive map) and it falls victim to some of the limitations of League’s engine. Practice Tool comes as advertised, but compared to its competitors, it still feels like catch-up rather than a full step forward.